Mr. Trailmanners asked me if I would like to write a monthly column for the website and my first question to him was “how much does it pay?” Because that kind of stuff is important. Well, I have to admit, his pay is pretty darn good. I’m getting the occasional beer and a high five or two. He said he would even let me run with him occasionally and bask in his awesome glow. Pay doesn’t get much better than that. Well, it’s the end of another year, at least according to the Gregorian calendar that we all use. Perhaps it’s a good time to reflect upon the past year(s) and look forward to the future. Most of this article will be devoted to trail running crap, because, well, this is a trail running website. However, I may deviate from that just a bit. As I look over the past year I had no idea I would be where I am today. Last January I knew my then job would be ending at the end of February and I had made the decision to try going out on my own and race direct full time. To that end, I was looking for other races that I could acquire or start from scratch. As I was working on the Buffalo Run during that first week of unemployment, I happened to get a call from a headhunter for a position that I had applied for as a condition of getting an unemployment check (yeah, I was a leach on society). That call led to interviews, and ultimately a job that I really enjoy. One that is less than 10 minutes from home and one that allows me to pretty much do my job unfettered. Yeah, I like it and hope to be here for a good while. On another family note, my lovely wife decided to remain married to me for yet another year ☺ That’s 35 years now and for that I thank her for being the awesome person and partner she is. My spectacularly awesome grandkids are now 9 and 3 and both of my children are contributing members of society. On to running stuff now. From a race director perspective, this year will be the best yet. I took over the RD duties for the Logan Peak Trail Run. I’ve run that race several times and it’s one of my favorite local races, beautiful scenery, lots of friends, just a good time in the mountains. The 2015 Buffalo Run saw the most runners ever in its ten years of existence. 800+ signed up and about 750 showed up for my little spring running party/reunion. The Antelope Island Fall Classic 50K saw numbers jump from 85 in 2014 to 200+ this year. I didn’t see that coming. The Mountain View Trail Half Marathon saw their numbers remain about the same. I had threatened to cancel the Frary Peak Hill Climb after 2014 due to a lack of runners, but one of my friends, Lindsay Lauck, convinced me to give it one more year and she offered to help market it. That helped tremendously, the number of runners doubled to around 35 this year. So it looks like that run will take place again in 2016. As far as the future holds, I am still working to get a race going down south on the Good Water Rim Trail. I recently chatted with the BLM and they are still trying to get that trail authorized so that I can have a race there but the process is going much slower than they had anticipated, changes in personnel, etc., have thrown a curve ball at that one, but I remain committed to getting that one going. With my personal running, I did cut back a bit on the racing and managed to get a couple of bucket list adventure runs in. Yeah, I’ve done R2R2R five times now, Zion a few times, but this year I managed to run a Teton circ (35 miles) by myself and get a run in the Ruby’s with some friends. Both runs were phenomenal and I encourage you to give both of them a look. This was the first year in I don’t know how long that I didn’t finish a 100 mile race. I made my ninth attempt at Wasatch and came up short because my give-a-damn broke. Next year…. However, for the first time, I actually won a race and set a course record, so yeah, there is that. Probably be the last time that happens. Looking forward running stuff. So I mentioned about the Good Water Rim race earlier. The 2016 Buffalo Run is looking good so far. Maybe not the numbers like last year, but it fluctuates every year anyway. I’d like to get an increase in runners for Logan Peak. I’ll be chatting with the Forest Service on that. Other than that, my races will be pretty much the same, only better. Personally, I’m already signed up for four 100’s (Salt Flats, Wasatch, Bear, Pony Express) and I’m looking at a few shorter races as well. I’m torn between doing my usual local races, or trying some races in other places. I am looking at Squamish 50K up in Canada as a possibility. Anyone know of some other possible races that I haven’t done yet? I’d like to get a few more adventure runs in as well. Revisit the Tetons and the Ruby’s, Zion again, the Wind’s. So many places to run, so little time! Other local races I’m doing are Moab Red Hot, Timp Trail Marathon. So yeah, that’s my race and run schedule right now, but really, day to day, I just want to go run with my friends. I have some fantastic friends that I would have never met if I didn’t run. Some of the most wonderful and giving people I know are the ones I have the privilege of sharing time on the trails with. Ultimately, that’s what it’s all about, wonderful family and friends to spend time with, a job that is fulfillilng. We live in a wonderful place (Utah), spend time exploring it, and if you come across me out on a trail, say hi, tell me your name because I’m too embarrassed to let you know I don’t remember it. Here’s to a great 2016. 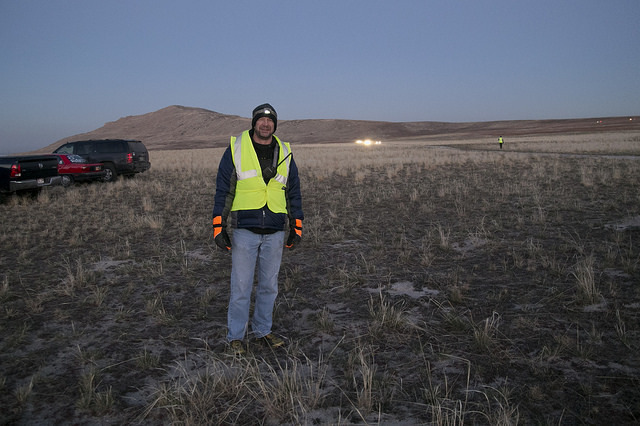 Race director for Buffalo Run, Logan Peak, and Antelope Island Fall Classic.